Our Christmas season got off to a wonderful start by having Daniel with us on Thanksgiving. He had attended a conference in Chicago earlier in the week and been routed back to Stuttgart with a 24-hour layover in Atlanta. Beth was greatly missed, but we gave thanks for every minute with Daniel - and with Beth via Skype. On the Sunday after Thanksgiving, McDonough Christian Church hosted a Christmas memorial service where family members placed picture ornaments of their loved ones who are with the Lord. We cherished the memory of Jim and Eva Teague, Granny and Papa. Worship choir, band, children, drama, and tech team put in many hours of preparation for Tell Me the Story, a message of God's gift of love, shown from Christ's birth through resurrection. Our every-other-week Bible study met for Sandi's lesson, followed by a Christmas brunch. Sandi is a wonderful teacher, and also leads our ladies in financial support and encouragement of Beth's ministry in Germany. Award-winning Christian fiction writer, Dale Cramer - who just happens to go to my church - celebrated the release of Though Mountains Fall with a book signing at Books-A-Million on December 16. He is a gifted writer and I am glad to call him my friend. To understand this picture, you need to refer back to the kitten in the first picture above. Five-month-old Max appeared on our doorstep late one night last August when he was around six weeks old - alone, starving, and crying louder than I knew was possible for a cat. He is now very happy, growing steadily, and extremely fast. One of his favorite little tricks is to climb up the trunk of our Christmas tree and look out at me through its branches. I treasure all of my ornaments - and they are breakable - hence only the top half of our tree is decorated. A favorite part of our Christmas day is a leisurely brunch in the afternoon - which includes Dwight's famous hash browns and eggs from the farm of our dear friend, Fran Evans. Jane Lee, a long-time friend of our family who we have adopted as our "Mama Jane." We have Jane to thank for our dressing and gravy at Thanksgiving, as well as her special divinity at Christmas. Although Beth and Daniel weren't physically with us this Christmas, we were able to visit with them through Skype, and for that we are very thankful. "The star they had seen in the east went ahead of them until it stopped over the place where the child was. When they saw the star, they were overjoyed. On coming to the house, they saw the child with his mother Mary, and they bowed down and worshiped him" (Matthew 2:9-11 NIV). 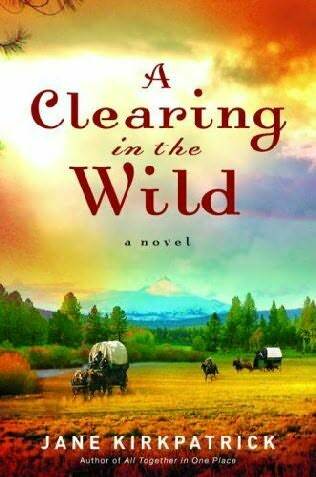 A Clearing in the Wild is the first of three novels in Jane Kirkpatrick's Change and Cherish series. Based on true events and characters in the 1850's Oregon Trail history, this novel introduces young Emma Wagner and her husband, Christian Giesy, members of a German communal colony in Bethel, Missouri. Willful and outspoken Emma continually chafes at the constraints placed on women in the Bethelite community, even questioning the decisions and motives of their beloved leader, Wilhelm Keil. 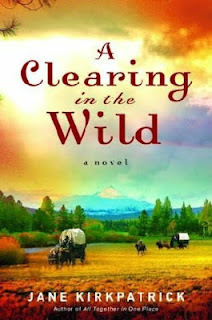 Frustrated because he sends her husband on missions during much of the early years of their marriage, she convinces Father Keil to send her with Christian and nine other men on a scouting trip to the Northwest Territory. But as she escapes the confines of Bethel, she unexpectedly discovers a yearning for the warmth and caring of community. This well-researched novel is based on true events surrounding the Bethel community and their search for a new location in their effort to escape the approaching war and laws that would restrict their community's freedom. Weaving fiction with fact, Kirkpatrick gives an interesting narrative that delves into some interesting themes. "Kirkpatrick opens up to the reader endless questions about gender roles, the values and pitfalls of community, the dangers of power and problems of blind allegiances . . ." (FaithfulReader.com). The communal constraints and attitude toward the role of women is vividly pictured in these two quotes: "In our colony, listening was a valued skill, at least for women" . . . "While women served, our voices were rarely heard except in music. Did not our Lord wash the feet of His disciples? Did not our Lord comfort those who grieved? Is that not what women do? And yet we are not invited into the halls of discussion, we are not asked to sit around the tables and talk with men making sense of a family's future. No, we are asked to influence through our fathers and our brothers and our sons, but never with them." The characters of Emma, Christian, and Father Kiel are richly drawn. In Emma's eyes, Father Kiel was a flawed leader: "While I believed that our leader had God-inspired visions that led him to the faith and the way we practiced it in Bethel, I also thought his humanity clawed through sometimes, tearing up what God intended . . . "
Kirkpatrick also has a gift for describing the beautiful landscapes on the journey from Missouri to the Washington Territory. While the narrative can move slowly at times, it is an enjoyable read overall and I recommend it to those who enjoy character-driven drama. The series continues with A Tendering in the Storm and A Mending at the Edge. This book was provided by WaterBrook Multnomah through the Blogging for Books program in exchange for my honest review. 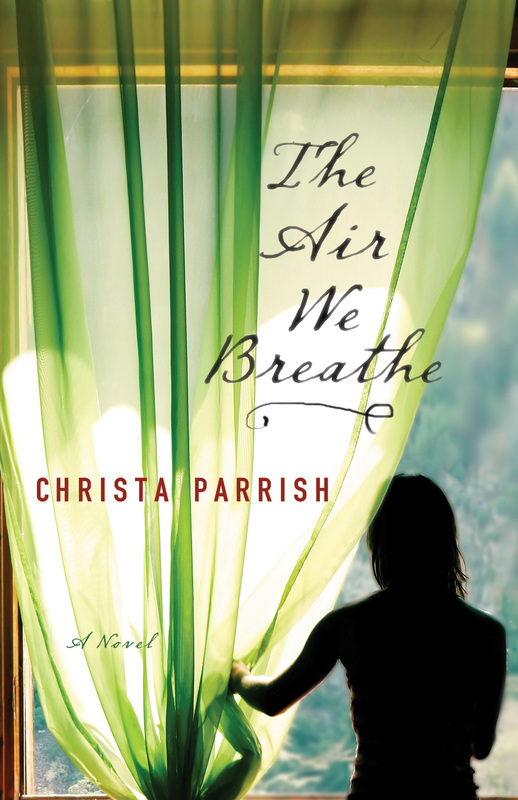 The Air We Breathe is the third novel by award-winning author, Christa Parrish, and has been named a finalist for the 2013 Christianity Today Book Award. Set on an island off the coast of Maine, Parrish seamlessly weaves together the stories of two hurting women in narratives set almost seven years apart. Molly Fisk needs the courage to face her fears. What she finds instead is a most unexpected friendship. Seventeen-year-old Molly Fisk does not go outside. For so long she has run away from a moment long in the past, but she's not running anymore, she's hiding. Ruled by anxiety, she can only stare out the window of the tiny tourist-town museum she and her mother call home, longing to go outside--to maybe take a walk with the cute boy who works in the pizza place across the street. Then the chance arrival of a woman Molly knew years ago changes everything. Back then, Claire Rodriguez was an empty shell. Only in the unique friendship she struck up with a little girl--a silent girl who'd only talk to Claire--did she see the possibility of healing. But one day the girl and her mother vanished, their house left abandoned. What happened that drove them away? And how can Claire now offer Molly the same chance at finding life anew? This book was a delightful discovery, and Christa Parrish is another name that I can add to my growing list of authors who write in a more literary style with rich characterization. Molly is a complex, sympathetic character. Molly "wasn't much more than the mop she cleaned the lobby floor with, a pole of wood and dull cotton tresses. . . . She wanted someone to strip off her skin and look beneath, to the tissue and vessel and bone, and see everything that she kept hidden away - to prove she wasn't wax but flesh. She wanted normal." Claire grieves after heartbreaking losses as the result of a traffic accident. "There was a neediness that came from being abandoned by a husband, a desire to know that it wasn't her, but him. That she wasn't defective, or unlovable. Yes, she knew Christ should be enough, but sometimes in a cold bed, He wasn't." Christa also explores the relationship between Molly and her mother in a way that readers can relate to. For Louise and Molly, it was "Avoid, avoid, avoid. They were so skilled at it . . . Never how do we handle this?, but how can we fold ourselves up small enough so it won't be there anymore?" An overarching spiritual theme is shown in the way God can bring certain people into our lives, at just the right time, to touch us and help us heal. The Air We Breathe reaches a satisfying conclusion, while leaving the reader with room for imagination. This is a book that I can highly recommend. Two scenes in this story really stood out to me. The first was when Claire took Molly for a walk to the beach, after years of not venturing outside. Parrish described the walk with such detail that I felt as though I was right there, experiencing both of their emotions. A winner of Associated Press awards for her journalism, Christa Parrish now teaches literature and writing to high school students, is a homeschool mom, and lives near Saratoga Springs, New York. 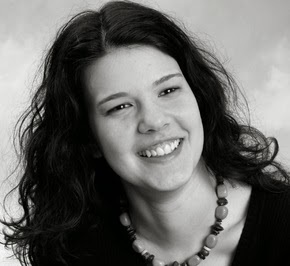 She is the author of Home Another Way, finalist for the 2009 ECPA Fiction Book of the Year, Watch Over Me, which won the 2010 ECPA Fiction Book of the Year, and The Air We Breathe. For more information on Christa and her books, visit her website at christaparrish.com. This book was provided by Bethany House through NetGalley in exchange for my honest review. Novel Matters: Why Does the Novel Matter?